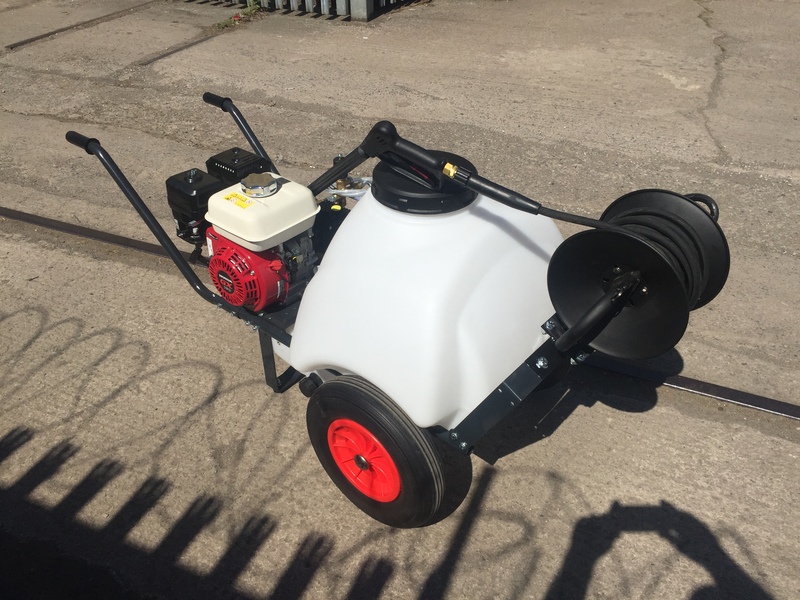 The 125 Litre Mini Bowser Pressure Washer makes mobile pressure washing easy when a water source may not be available. 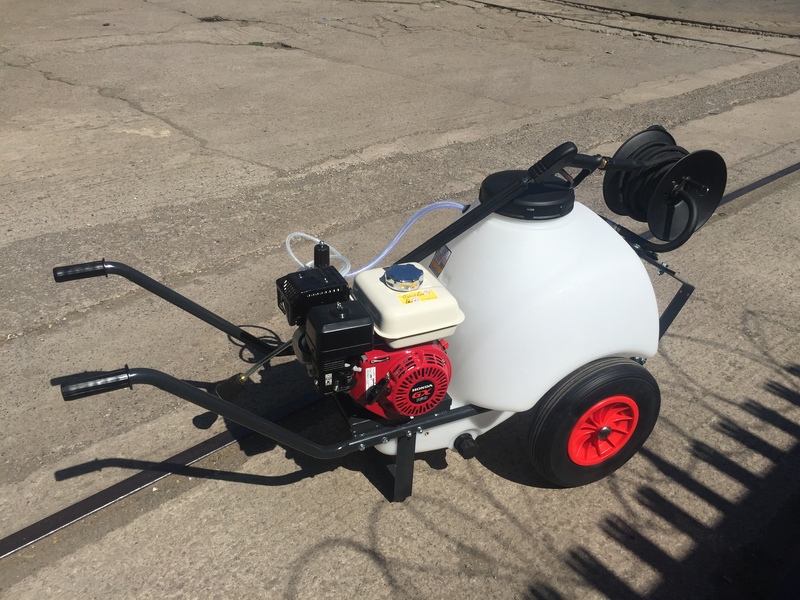 The mini Bowser is fitted with a 125 litre water tank, a poly hose reel with 10m of hose and lance. 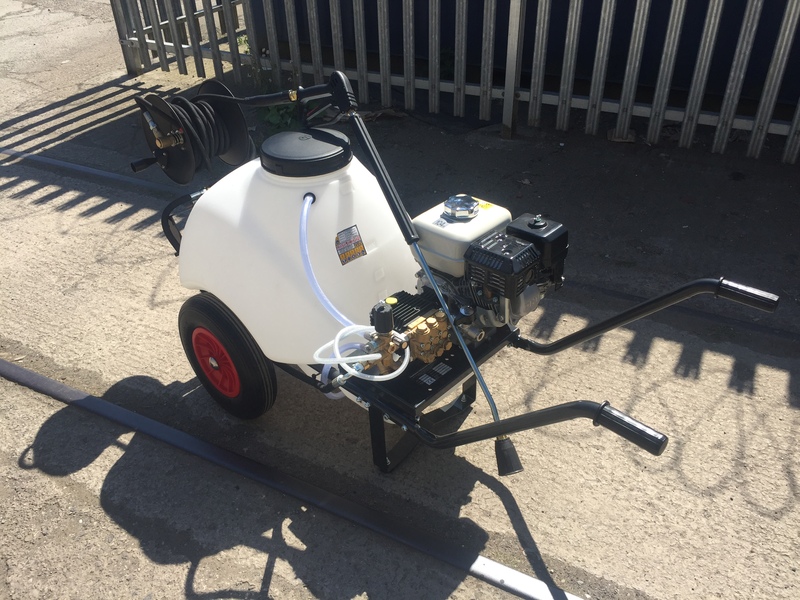 Its powered by a Honda GX160 petrol engine which gives a water pressure of 2250 PSI and is capable of delivering 8 litres of water per minute. This entry was posted on Wednesday, May 31st, 2017 at 10:25 am	and is filed under News, Uncategorized. You can follow any responses to this entry through the RSS 2.0 feed. You can leave a response, or trackback from your own site.